Mike Green & Associates : Congratulations to John McCutcheon for Album of the Year Nomination by Folk Alliance International! Congratulations to John McCutcheon for Album of the Year Nomination by Folk Alliance International! 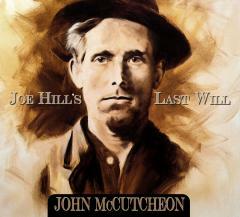 John McCutcheon’s album, Joe Hill’s Last Will, (Appalsongs, 2015) was nominated for Album of the Year by Folk Alliance International. The winner will be announced at the Folk Alliance Awards Ceremony in Kansas City, MO on Wednesday, February 17.